Hey Folks! Next month I’m hooking up with some local pinball enthusiasts to put on a tournament in Reno, Nevada. If you happen to be out that way for 4th of July weekend, come join us! The event will be at Jub Jub’s in fabulous Reno, Nevada. You get two tournaments for the price of one with Open and Novice divisions, and a side tournament! The main tournament is Pin Golf and the side tournament is to play one-handed (beer in the other hand?). 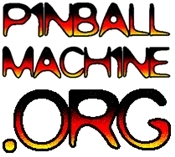 The main event will qualify for World Pinball Player Ranking Points, so win or lose, you will earn double ironic retro hipster points as a fledgling world ranked pinball player. Open and Novice divisions for different skill levels means even if you’re a flipperless wonder you still have a chance at some prize loot. When: Friday July 6. Signup and side tournament start @ 5PM. Pin Golf starts @ 7 PM. Pin Golf participants can enter as late as 7:30 and still be eligible to play. If you make the cut, Finals @ 9 PM (but dependent on attendance). Entry: $5 + quarters to play. All entry money paid back to winners. Eligibility: Entry is open to everyone. Prizes: Cash prizes and plaques for top 3 in Open. Prizes and plaques for top 3 novice. Plaques for top 3 kids. Plaque for top woman player. Free pinball swag courtesy of STERN Pinball and the Pacific Pinball Museum. Side Challenge: There will be a FREE side event (just pay quarters for the game) for beginners and up-and-commers only. Enter as many times as you like to improve your score. The top two overall players at the end of qualifying will then face off to decide the winner. The side tournament starts as early as people show up and Finals will be played around 8:30. We’ll be there by 5 PM if you want to get in some early tries. The prize will be an Aerosmith pinball art translite courtesy of STERN pinball. Looks really cool on your wall. Or sell it on ebay. Or burn it if you hate the band. Up to you. This is the rules part. The most important rule is to have fun and don’t be a douchebag. The main tournament is Pin Golf. In Pin Golf a score is posted on each of 6 games. Your job is to beat the score with the fewest number of pinballs as you can. Just like strokes in golf. For example, “Score 10 Million in Addams Family” or “Score 1.5 Million on Iron Man”. If you want advice on what you should aim for to rack up points fast, just ask. You only get one try per game (6 games), but afterward, you get to replay one game of your choice to try and improve your score. The max (i.e. worst) score is 6 for each game, meaning, if you don’t get the goal by the end of your 5th ball, you get an automatic 6 and move on. The top four players will play in the Open Finals. The next four novice players will play in the novice finals. This means first timers and unranked players have two chances to make the Finals. If you’re a closet pinball wizard who thinks he’s a novice but do great, you’ll play in the Finals against the big dogs. If you’re ehhh not so good but good enough, you might still qualify for the novice final. How do you know if you’re a novice? If you’re not ranked in the IFPA (International Flipper Pinball Association), then you qualify as a novice. If you are ranked, but you’ve never held a rank above 2000, then you also qualify. For the side tournament you play one-handed and try to rack up as many points as you can. You can use both flippers but only one hand. Use the other hand to hold your beer. Or gesture emphatically. Or sign language beatnik poetry. Up to you. Try as many times as you like to improve your score. Around 8:30, the top 2 will play off. This is a beginner only event. IFPA players can enter but only if you’ve never been ranked better than 2000. Got questions? Email me at jonnynacho@gmail.com. That’s it! See you on July 6!